Discount Vials is a proud supplier to a wide variety of government agencies, universities and schools across throughout the United States. Special quantity discounts and contract pricing is available. Take advantage of special offers and other benefits, call 1 888.509.1834 to speak with one of our knowledgeable Sales Associates. Discount Vials is proud to be both a small and veteran owned small business (SDVOSB). We accept several methods of payment upon approval, including Net-30 /Purchase Orders, Business Checks, American Express, VISA, MasterCard, GSA SmartPay, MC & VISA, and Discover. Online: Use your purchasing card. We accept Visa, MasterCard, Discover, and American Express. Easy instructions to generate a list for your purchasing department. Add all of the items that you would like to appear on your purchase order to your cart. Access your cart by selecting the shopping cart icon located on the upper right-hand side of the page. Continue the checkout process and choose Purchase Order as the method of payment. Provide the printed order confirmation to your purchasing department or decision maker for approval and use in generating the PO to send to Discount Vials. 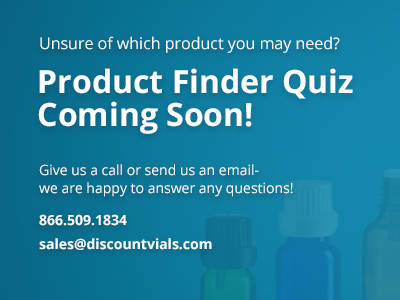 Have your purchasing department issue a purchase order and send it to discount vials via, Fax, Email or Postal mail. We must have a signed purchase order in house before processing your order. Including our Tax ID #27-3495566 and a copy of our signed W-9 (90KB/PDF) can often help to speed the process along. Electronic Submission: Attach your electronic purchase order file here.